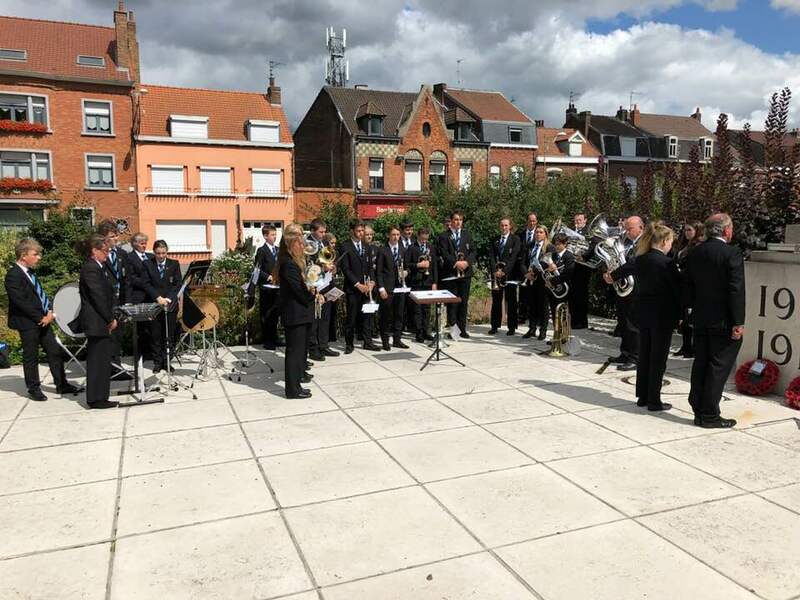 Camborne Youth Band followed in the footsteps of Cornish miners who signed up in 1914 and travelled to France and Belgium in August 2018, taking a 100-year-old bugle back to the Western Front. This was part of our Heritage Lottery funded project, Heart of Conflict, marking the centenary of World War One. 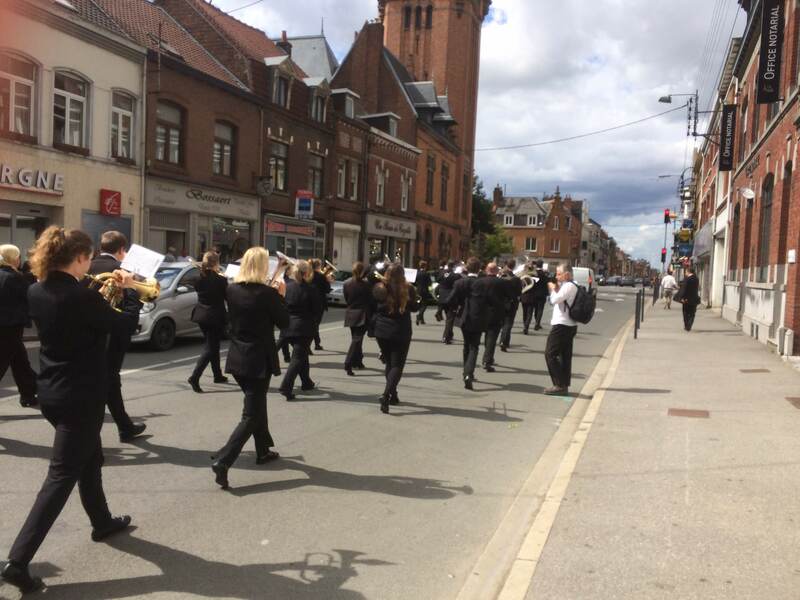 On Saturday 25 August, the Band visited the French town of Estaires where the Cornish miners were stationed from 1914-16 and played the historic bugle. In the Band was Corey Williams, aged 13 from Baripper – the great great grandson of Fred Negus, the original owner of the bugle. Fred was one of a group of Dolcoath miners who joined the 25th Field Ambulance in 1914 after war broke out and went straight out to the Front. The trip also marked three historic rugby matches that the men played at the Front in 1915 after Camborne Rugby Club sent out a ball. The Field Ambulance organised games between Cornish and Devon teams – and descendants of men who played still live in Cornwall now. The Band presented the town of Estaires with a rugby ball signed by current Devon and Cornwall teams. On Sunday 26 August, the Band played at the Menin Gate, Belgium, where tens of thousands of men who died in World War One – but have no known grave- are remembered. We’ll be staging an exhibition PLAYING FOR CAMBORNE – about the trip at Heartlands, Pool, this autumn – reporting back on everything that happened.